Provides comfort and cushioning. Moulds to your feet. One size fits all. 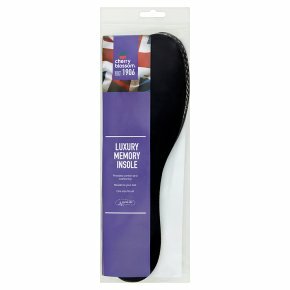 Moulds to any foot shape Cherry Blossom Memory Foam Insole moulds to your feet to provide comfort and cushioning. Ideal for shoes, boots, slippers, trainers and most other footwear.